If a Client or User has any queries about DIFFUZE’s management of personal information, they are encouraged to contact DIFFUZE for further information. DIFFUZE will limit the personal information it collects to that which is necessary for DIFFUZE’s functions or activities. When collecting personal information, DIFFUZE will endeavour to make the relevant person aware of the purposes for which the information is being collected by DIFFUZE, the organisations to which DIFFUZE would usually disclose the information and any consequences for the relevant person if the relevant person fails to provide any information that is requested by DIFFUZE. DIFFUZE stores personal information securely, and has policies and procedures intended to ensure that personal information is not misplaced or misused, and that unauthorised access to, or modification or disclosure of, personal information does not occur. regular monitoring and improvement of DIFFUZE practices and systems to ensure the effectiveness of security policies. DIFFUZE will endeavour to destroy the personal information of a person as soon as it is no longer required by DIFFUZE or our Client (and this is permitted by law). DIFFUZE will generally only use or disclose personal information for the purpose for which DIFFUZE collected it, and for related purposes DIFFUZE considers will be within the reasonable expectations of the subject person. Otherwise, DIFFUZE will seek consent prior to using or disclosing the personal information for another purpose, unless DIFFUZE is required or permitted by law to do so without seeking the permission. If a Client uses the Services, and therefore provides DIFFUZE with information including personal information in relation to a User (Client Information), DIFFUZE will use such Client Information strictly for the purpose of providing the Services to that Client. DIFFUZE will not disclose Client Information to a third party or use it for any other purpose, unless DIFFUZE is required or permitted by law to do so without the permission of the User. Personal Information provided by a User in the course of using the Service is considered to be information of the Client and DIFFUZE will continue to make that information available to the Client as this is the purpose for which the information was collected. The personal information that DIFFUZE may hold includes a person’s name and address, contact telephone number(s) and/or email address(es) plus any personal information that a Client or User has entered or logged into the Service. DIFFUZE may also hold information about the usage of its Services, and any other personal information that a Client or User may provide. DIFFUZE does not hold any sensitive information, including individual Services login passwords, unless such login passwords are provided to DIFFUZE. Please note that in circumstances where a Client elects to purchase Services by credit card, DIFFUZE does not hold credit card details. Credit card details are encrypted and stored by the National Australia Bank. the data that the person downloads (such as web pages or other document files or software), and the time that the person downloads it. This information is used for statistical analysis, system administration, and similar related purposes. This information is not disclosed to any other party. DIFFUZE may collect personal information from a person (such as name, address, telephone number and email address, and any other personal information volunteered) if a person sends us email or if a person submits information to DIFFUZE using a message or feedback form. DIFFUZE use this personal information to contact the person to respond to the message, to send the information requested, and for other related purposes DIFFUZE considers are within the person’s reasonable expectations. DIFFUZE will not use or disclose any such information for any other purpose without the person’s consent. If a person provides any personal information to DIFFUZE via DIFFUZE’s Services (including email) or if DIFFUZE provides such information to a person by such means, the privacy, security and integrity of this information cannot be guaranteed during its transmission unless DIFFUZE has indicated beforehand that a particular transaction or transmission of information will be protected (for example, by encryption). If DIFFUZE receives personal information, DIFFUZE will take reasonable steps to store it such that unauthorised access, modification, disclosure, misuse and loss are prevented or minimised. If you believe that a breach of your privacy has occurred, DIFFUZE encourages you to contact DIFFUZE to discuss your concerns. 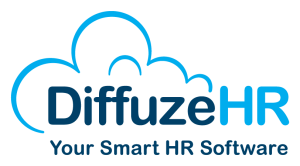 Please contact DIFFUZE if you require further information about the ways DIFFUZE manages personal information.